As Chief Creative Officer and Executive Vice President, Aaron Parry oversees the creative vision of the company, as well as worldwide production and technology development. While at Stereo D, Parry and his team have created the 3D industry’s most advanced 3D pipeline, resulting in an unmatched combination of speed and quality in delivery. Additionally, he has supervised the expansion of Stereo D’s work force from a creative and technical staff of 10 people to more than 1,000 employees. During his tenure, Stereo D has created the 3D conversions for twenty-nine films, including “Titanic in 3D” and “X-Men: Days of Future Past,” from Twentieth Century Fox; Warner Bros. Pictures and Legendary Pictures’ “Pacific Rim”; and “Hercules,” from Paramount Pictures and Metro-Goldwyn-Mayer Pictures. 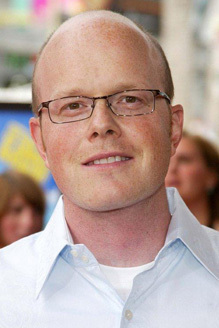 Additionally, Parry was stereo executive producer on the conversions Stereo D created for Marvel’s “The Avengers,” “Iron Man 3” and “Thor”; “Jurassic Park 3D,” from Universal Pictures; “Star Trek Into Darkness” from Paramount Pictures; and “Godzilla,” from Warner Bros. Pictures and Legendary Pictures, among others. Parry joined Stereo D in 2010 after serving as supervising 3D producer on “Jackass 3D” for Paramount Pictures. His prior feature credits also include serving as line producer on Paramount Pictures’ “The Spongebob Squarepants Movie” and as executive producer on the studio’s “Barnyard.” Prior to his work at Paramount, Parry was executive producer at Warner Bros. Feature Animation. He has served as an adjudicator for film and animation festivals, as well as lectured around the world on animation and stereoscopic 3D. Parry holds a Bachelor’s Degree from Coe College and attended the Advanced Graduate Studies program at USC. He is a member of the Producer’s Guild of America and International 3D Society.